How many times I’ve heard the statement, “People don’t care how much you know until they know how much you care.” Sounds good to me. Until your child gets cancer. 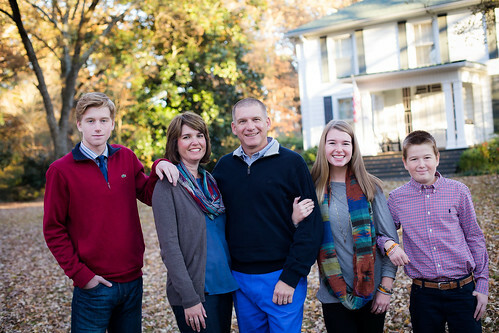 I had never met a pediatric oncologist until Harrison was diagnosed with leukemia. I’m sure there are tens of thousands of these heroes running around places where I have lived, but I never crossed paths with them, that I know of. But on that Friday afternoon as a dozen or so medical professionals gathered in Harrison’s hospital room, I didn’t ask if any of them “cared.” I didn’t know if they would go home that night and weep over my son the way Ginger and I would. I never said, “Now, before you start to tell me how you are going to cure my son, I really want to first make sure you care for him.” I didn’t care how much they cared, only how much they knew. We are grateful for the pediatric hem/onc team at the University of North Carolina. There isn’t a doctor or nurse in the clinic we don’t adore. And over time, we’ve discovered that they do, in fact, care for their patients. They want every child to recover fully. They treat patients with dignity, as human beings. When Harrison’s cancer refused to go into remission they were, in the words of one of the oncologists, “distraught” over Harrison’s case. We are glad they care for him. But I want an oncologist for Harrison that knows oncology. I don’t want someone who can “feel Harrison’s pain” but is stumped with how to treat him. I want the best and brightest. I want the doctor who graduated top of his or her class, not the bottom. I want the doctor who did extra work in school, not the one who skated by on natural academic ability. I want to oncologist who LOVES treating patients and fighting cancer. Our oncology team is comprised of some of the best oncologists in the world. And I am thankful. But the team also cares for patients and families. And the longer I walk with my son in his fight the more I realize that medical healing is more than diagnosis, drugs, and dosages. It’s about people. Patients and doctors are partners in medicine. Studies show that patient and family attitudes are important. And doctors must realize this. So while it may not be true that before I care what you know I must know that you care, I do want my son’s doctors to care. If they don’t, then they really don’t know good medicine. I will be forever grateful that Harrison’s doctors get it. You are so right. Thanks for adding that. I don’t know you and your son, Harrison. I learned about Harrison on Face Book, and I pray for him every day. God bless you, your wife, and Harrison. Please keep us posted. Thank you for your prayers. They are so very important. Reading through your web page, also added you on twitter. We were thrust into this journey mearly 4 weeks ago. Dr Weston, was part of my sons team while he fought for his life on the 5th floor. 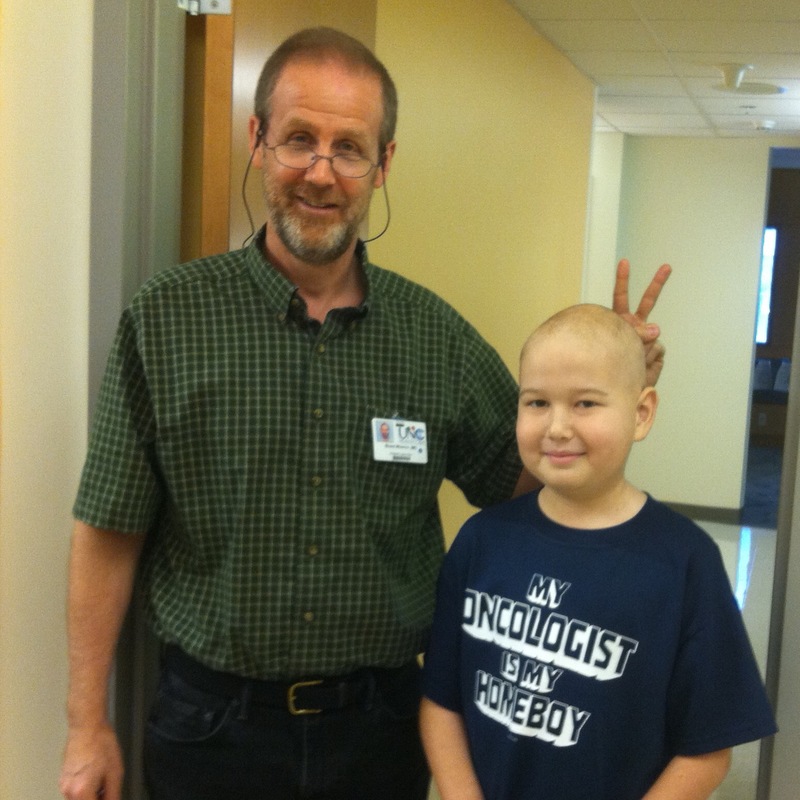 Now that he is having chemo once week on fridays, we see a different oncologist. I have really enjoyed reading through your web page, relating all to well to what you are saying. Seeing the pictures and thinking, I have been there. We know chair 9 too. Thank you for sharing and putting words to what is some days nearly impossible to articulate. Praying for your son as i pray for mine. Thanks for connecting, Stephanie. This is a frightening and painful journey for parents and siblings as well as our children. Prayers for your entire family. Hope to connect in the clinic sometime soon.